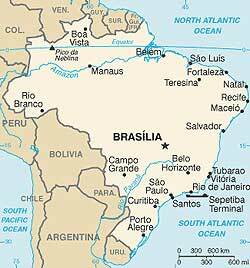 Brazil is staking its claim as a great emerging power thanks to the leadership it maintains in biofuel production. The price of this ambition is paid by the environment and by the cane cutters, who are the invisible characters in this story. "When the airplane passed, pouring out that bath of poison, my father was soaked. He fell ill because of the toxins that are sprayed over the cane. This is the end for many young people here," says a female cane cutter from the region of Ribeirao Preto, in São Paulo state. "The people work and they give them a slip of paper to shop with in the supermarket. The people don't see money, just the bill of what they owe," confirms a worker from the same region, where seven of every 10 cane cutters did not finish primary school. Other cutters explain that they are cheated by the scales that the bosses control—they calculate that they have to carry 110 kilograms for the scale to reach 100. Almost all of them were lured from Brazil's poorer Northeast by promises that they would earn very high salaries. Many moderate analysts see working conditions as reminiscent of slavery. But the president, Luiz Inácio Lula da Silva, said before the G-8 Summit that biofuels have "enormous potential to generate jobs and income" and that "they offer a real option for sustainable development." Behind the "politically correct" jargon lurks a reality poised to destroy the Amazon, a reality that destroys millions of young bodies and promises lucrative business to investors. The very name biofuels seems to be destined to foment the confusion. João Pedro Stédile, head of the Brazilian Landless Workers' Movement (M.S.T. ), points out that the defenders of ethanol "use the prefix bio3 to make it seem like it's a good thing," and that because of this its opponents prefer to call it like it is and use the term "agrofuels" because the term refers to agriculturally produced energy. According to the ex-governor of São Paulo state, Claudio Lembo, agrofuels will spread monoculture farming across the whole country. Although he is a conservative politician and member of the Liberal Front Party (now the Democratic Party), he thinks that Brazil "backtracked 500 years to the same place" as it was as a Portuguese colony. In his opinion, agricultural land will be lost when used for sugarcane and the history of those four centuries will be repeated, when "thousands were expelled from their communities by the leviathan of monoculture, which creates concentrated wealth." Looking closer at the cane cutters' working conditions, a terrifying world appears—a world that should give people who are enthused by the idea of substituting fossil fuels with agrofuels something to think about. According to various reports, around a million people work in the industry, of which 500,000 are in the agricultural sector. Close to 80 percent of cane harvesting is manual. The workers only get paid if they reach the output set by the bosses, which in the Ribeirao Preto region is some 12 tons a day, double the 1980 target. If they don't reach it, they aren't paid at all. To reach this output target they must work some 10 or 12 hours a day, but sometimes 14, many of these under the burning sun. Many parents bring their small children to help them reach the production goal. Although the numbers of working children have declined, in 1993, one in every four cane cutters in the state of Pernambuco was between seven and 17 years old, and many did not receive any salary. In the last two harvests, 14 people died as a result of excess work. The cutters are recruited in other regions and have to live in the same hacienda, in mattress-less cabins, with neither water nor a kitchen; they have to cook in tins over little bonfires and buy their groceries in the same hacienda at prices exceeding market values. The cane is cut after being burned, which facilitates harvesting but gravely endangers the environment and produces serious respiratory complaints. In the Piracicaba municipality, in São Paulo, hospitalizations of children with respiratory problems increase 21 percent during periods of cane burning. For every 10 tons, the cutter must make 72,000 machete blows and flex their legs 36,000 times. They lose around 10 liters of water per day and walk 10 kilometers a day while they complete their job. The monthly salary ranges from $150-200 a month. According to the sociologist Francisco de Oliveira, the cutters' average lifespan is less than that of colonial slaves. The minister of Work, Carlos Lupi, admitted before the International Labor Conference in Geneva that part of the production of cane in Brazil is done with degrading work in awful conditions: "They work without protection and even lose fingers." Maria Aparecida de Moraes Silva, who has studied the work on sugarcane plantations for 30 years now, affirms that 45 percent of the cutters come from the Northeast. The migrants are preferred by employers because while far from their families they tolerate the abuses unquestioningly, and after the seven-month-long harvest they return to their villages, making it difficult for them to organize unions. Little by little harvesting machines are being introduced that do the work of a hundred people. As a result, the plantation owners have raised the cutters' productivity targets. They order them to cut the cane closer to the ground, as the machines do. The result is that they now choose younger and younger workers who receive one dollar per ton. The economic journal Jornal do Valor explains how people fall into servitude: "There is a manpower middleman who covers the poorer states, especially in the North and the Northeast. He chooses the youngest ones. When they get on the bus to go to the city where they are contracted, the cutters get in to their first debt, for the transportation. The middleman earns 60 reales ($30) for every worker that he takes. It is not unusual for him also to be responsible for the sale of the first goods that the workers need. He becomes the 'owner' of this manpower through the accumulation of debt." The expansion of cane cultivation destroys the social fabric. In the region of the small city of Delta, in Minas Gerais state, 300,000 hectares have been planted in the last four years. The city has 5,000 inhabitants that swell to 10,000 during the harvest. According to a report by the newspaper Correio Braziliense the small city has begun to register homicide rates that were unimaginable before the multiplication of the cane farms. Many female children and young people are kidnapped to boost prostitution in the region, where 20,000 cutters arrive a year. The cutters overflow at the edges of small cities where alcoholism and the consumption of crack proliferate. The expansion and modernization of the cane industry inundates towns and municipalities. José Eustaquio da Silva, mayor of Delta, has recognized that "the municipality is close to collapse. The health facilities, hospitals, and schools are packed, and the worst thing is that along with the workers come all sorts of people and bandits." In Delta there isn't a single hotel but there are 27 brothels. Journalists have discovered that various public figures of the county are involved in the trafficking of minors and in cases of pedophilia with the children of cane-cutters. The middlemen (who are nicknamed "gatos" or cats) carry arms and impose their rules. Stédile always uses the same example to illustrate the social problems generated by mono-crop farming. "The municipality of Ribeirao Preto in the center of São Paulo is considered the 'Brazilian California' due to its high level of technological development in the cane industry. Thirty years ago, this city produced all its food, had a peasantry in the interior and, in fact, it was a rich region with equitable income distribution. Now it is an immense sugar plantation, with some 30 sugar mills controlling all the land. In the city, 100,000 people live in slums (out of the 540,000 inhabitants of the municipality). The prison population is at 3,813 people—counting only the adults—while the population living from and working in agriculture is just 2,412 people, including the children. This is the cane monoculture model of society. There are more people in jail than there are dedicated to agriculture!" In the 2007 sugar harvest another technological "advance" will come about: for the first time, genetically modified cane will be harvested. It is lighter and holds less water, meaning it will bring large profits to the investors. But the workers will have to cut three times as much to reach 10 tons. In this region, the owners lay off a large number of workers at frequent intervals, in order to keep the best. These are the so-called "productivity champions" who can cut up to 20 tons a day, with a monthly average of 12 to 17 tons a day. With the workers suffering from seizures, cramps, spinal pain, and tendonitis on top of frequent cuts, the owners found a "technical solution." The sugar mills distribute a free electrolyte and vitamin supplement, intended for athletes or workers with intense physical activity. At many mills the cutters drink this product before starting work. "Physical pain disappears, the cramps die down, and productivity increases," says Pereira Novaes. The problem is that they need to increase the dose every month. "With supplements and medicines you can keep up the high productivity demanded by the cane. The strongest survive, like in a process of 'natural selection.' But the question is: how and for how long do they survive? Solutions and medicines can be seen as an expression of the paradox of a certain type of modernization and expansion of cane cultivation; it consumes the labor force that makes it flourish," insists Pereira Novaes. There are no official figures but it is certain that there are many young workers who retire due to disability, and dozens of deaths due to exhaustion in the "Brazilian California." In Brazil, cane production began in 1550, but has expanded greatly since 1970, fueled by the rise in oil prices. The forest of the Atlantic coast was halved, the area most affected by this expansion, but now the cane fields advance toward the center and West, where it is predicted that the rich ecosystem of the Cerrados will disappear by 2030 at the hands of monoculture. In the next seven years Brazil will double its production of ethanol and may produce almost 50 percent more sugar cane, which means building another 100 mills by 2010. It doesn't stop there. The Brazilian National Economic and Social Development Bank (B.N.D.E.S.) aims for Brazil to control 50 percent of the global ethanol market. This implies increasing the current 17 billion to 110 billion liters a year, for which it will be necessary to plant some 80 million hectares. That is, destroy the Amazon. The government has adopted this sector as its principal development strategy. B.N.D.E.S., which has more resources than any other regional bank including the Inter-American Development Bank, estimates that it will invest six billion dollars in sugar mills and cane plantations. But Brazil wants to expand agrofuels across the whole region. The immediate plans consist of taking production to countries in Central America and the Caribbean that already signed free trade agreements with the United States (such as CAFTA), to avoid Washington's import tariffs. "The objective is to export the nearly completed product to those countries," says the magazine Peripecias, "finish the process in those nations, and from there enter the U.S. market." The Brazilian bank finances the investments in those countries, but is also negotiating a share of up to 30 percent of stocks in the Central American projects. In Stédile's opinion, three big sectors come together in the ethanol project: "The oil companies (who want to reduce dependence on oil), the agro-businesses (like Bunge, Cargill, and Monsanto) who want to keep their monopoly in the global agricultural products markets," and now the transnational capital that makes "an alliance with the proprietors of land in the South, and especially in Brazil, to use large areas of land for the production of agrofuels." The future is not encouraging. Instead of pressure to modify the patterns of consumption and the energy matrix especially in transportation, the big investors like George Soros and corporations like Cargill are positioning themselves in the Brazilian production of ethanol to increase their profits. Neither global warming nor the cane cutters' working conditions cross their minds. Raúl Zibechi is a member of the editorial board of Montevideo's weekly Brecha, teacher and researcher on social movements in Latin America's Multiversidad Franciscana, and adviser to various social movements. He is a monthly contributor to the Americas Program (www.americaspolicy.org). Translated by Nalina Eggert and Sonja Wolf.